Drooping nearside rear bumper ? Lower wishbone balljoint boots. A Part Number that fits. Buying a cylinder head - what to check. V6 Lumpy idle or normal for model? Auto to Manual conversion question - wiring..
Do I need to change my speedometer? Why do brakes squeal ? 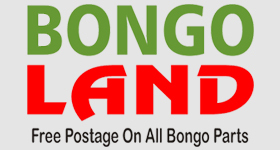 Bongo Petrol V6 - Fuel injection?